Pied-à-terre is French for “foot on the ground” and is often described as a city apartment used by suburban or rural residents to get a cultural fix. Who’s to say it can’t work in reverse? Why can’t urban dwellers put a “foot on the ground” in a small town just a bit too far away to be commutable? Real Estate Gone Wild: It’s Party Time at My New TV Show, The Party Line! Party Line Real Estate – Webisode 1 from Party Line on Vimeo. I LOVE IT when Real Estate agents get together and TALK! After all, that’s how they network! And we know there is no better way to network than at a party with the top agents in town, great food, a little string quartet music, and a Candy Bar! Well, we got a whole camera crew and invited Realtors to have some fun and give me the inside scoop on this crazy market. It was such a success, we are going to have a party and a Candy Bar every month! And you are invited to come and share! We’ve seen photos and stories from Colorado ski towns such as Aspen and Breckenridge showing vacationers filing lines out the door at marijuana shops, so of course, we had to wonder what kind of impact legal pot could have on Colorado real estate. Are more buyers putting it in their pipes and smoking it? Turns out the Colorado Association of Realtors was wondering the exact same thing. After all, with 136 pot retailers in the state as of Dec. 2013, buyers were throwing green after green, eventually causing a state-wide shortage of smokables. But is recreational marijuana a boon for Colorado real estate, or a burden? Analysis from the Colorado Association of Realtors shows that while state law no longer forbids recreational pot sales and retailers, local governments hold the keys to the lease. The majority of counties in Colorado have either already passed bans on recreational marijuana retailers or have delayed making a decision and placed a moratorium on pot business; closely monitoring how enactment is working in other parts of the state. It looks as though recreational marijuana businesses will be absent from large portions of the state for the foreseeable future. According to the Denver Post, of the ten largest cities in Colorado (by population), only Denver is expected to accept license applications for recreational marijuana stores this year. It’s also important to note that in counties and cities that have decided to allow recreational sales, grow operations will only be in areas zoned industrial. Right now, Denver and Denver County are the only areas where you can still apply for a marijuana sales license. So vacation property owners don’t really have to worry about an influx of new ganja businesses. And in Vail, there’s a complete moratorium on recreational marijuana sales. Still, folks in Aspen are buying pot, but at least one Realtor doesn’t think it will do much for real estate sales, if anything at all. “I don’t think [legal marijuana] is making that much difference,” Joshua Landis, a real-estate agent in Aspen, said in this piece in The Daily Beast. If the lines snaking outside of the Breckenridge Cannabis Club are any indication, pot tourism might make Colorado the new Amsterdam. And heck, it might be a draw so much in that it awakens latent demand for buyers who want to move to a 4:20-friendly state, but perhaps in more affordable areas such as Denver and its surrounding suburbs. Others, like Lubbock’s Colt and Amanda Smith, are among those planning to move to the state to ride the new economy. The couple founded the Lubbock chapter of NORML (National Organization for the Reform of Marijuana Laws). They had talked about retiring in Colorado but decided to act early once the new law took effect. The Smiths hope to launch a marijuana edibles business once they establish residency. Phillip Day may just have the most enviable job in the world right now. While most of North America is freezing – buckets of snow in the northeast, 23 degrees tonight in Dallas brrrrr – Phillip is in charge of the sales and marketing for the best second home property in the Carribean, BahaMar, in Nassau, The Bahamas. Better yet, BahaMar’s Vice President of Residential Sales is a Texan. Raised in Dallas and educated down the road at Baylor, Phillip is one of us! 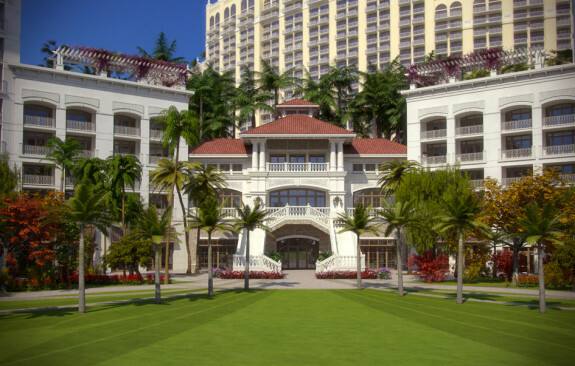 Here’s a little bit about BahaMar: The $3.6 billion, yes, with a “B”, project is set on 1,000 acres of prime beachfront paradise and will soon become one of the world’s largest, most luxurious resorts with everything jet-setting second home owners who love water, sun and fun could desire, and then more. That sun part is really sounding good right about now. The total square footage of the development is expected to hit 3.3 million, with every square inch devoted to luxury. 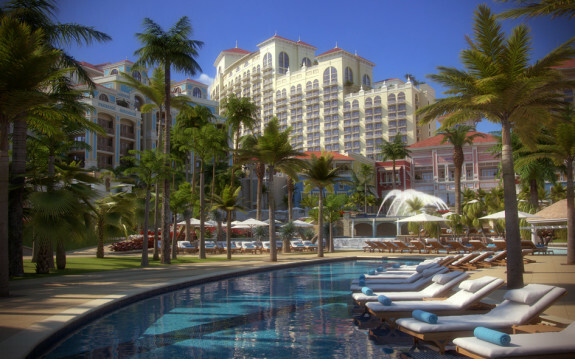 Baha Mar’s Grand Opening is set for December, 2014. There will be four hotels including a luxury Grand Hyatt, Rosewood, Mondrian and the Baha Mar Casino & Hotel. All of the hotels will surround a 100,000 square foot casino that promises to combine the best of Las Vegas and Monte Carlo. Jack Nicklaus himself is directing construction of a brand new 18-hole Nicklaus Signature golf course. 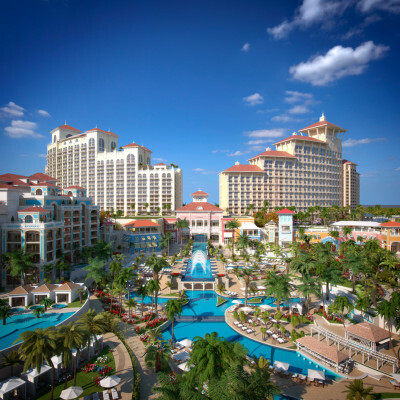 Baha Mar includes a world-class convention center, a 2,000 seat concert hall, world-class spas, 40+ luxury retail stores, 30+ restaurants, bars and nightclubs and all set on one of the world’s most spectacular beaches. 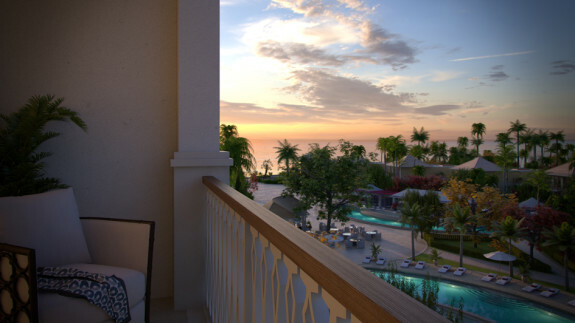 Baha Mar is selling 274 fully furnished tastefully designed private residences. There will be one to three bedroom condominiums along with a handful of four bedroom beach villas all overlooking miles and miles of sparkling clear, aqua blue ocean. Baha Mar even allows residence owners to participate in the hotel brand’s rental programs – a great way to pay for maintenance costs! Perhaps the best news yet: the lift will be so convenient, you will practically land at the resort. CD: So yes, Phillip, we are freezing our arses off in Texas. The pre-holiday ice storm blew out our spa. We had a few days of paradise then this. It’s 37 outside right now. What is your temperature in Nassau? Phillip: As a Dallas native, I remember how incredibly cold it gets during Texas winter blasts! I’m almost embarrassed to tell you that the temperature here in Nassau is in the high 70s. Every day is a beach day! CD: What’s the water temp? Phillip: I don’t know the exact water temperature today but I can tell you that I’m looking out the window of my office at Cable Beach and there are lots of smiling people swimming in the blue ocean! CD: I hate you. Was it crowded over the holidays (trying to think negative thoughts)? 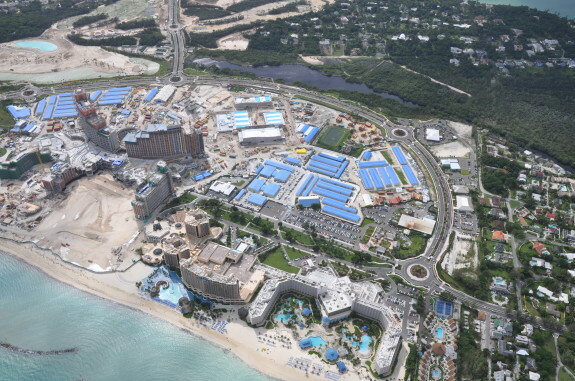 Phillip: Baha Mar won’t open until December 2014 so we don’t have guests yet. However, I can tell you that the Baha Mar teams from Rosewood, Grand Hyatt, Mondrian and the Baha Mar Casino Hotel are already hard at work as they prepare for next holiday season. It’s going to be an incredible five star Grand Opening experience in one of the most glorious settings in the world! CD: Any movie star sightings? Some of our friends were splashing with Reese Witherspoon. Phillip: We had a few. I saw Richard Gere and started to tell him about you but I’m sure it would have made Walter jealous. CD: What happens in BahaMar stays in BahaMar. How’s my boyfriend, Sean Connery? Phillip: Playing golf every day at Lyford Cay. Don’t get too excited, Candy. He plays golf with his wife. CD: So I take it that with the purchase of a home at BahaMar, I could be escaping this frozen hell-hole as long as Jet Blue doesn’t cancel my flight out there, or Southwest doesn’t land in Cincinnati by mistake? Phillip: Absolutely! The trip from Dallas is so easy. My favorite is the direct flight American offers from DFW to Nassau. CD: How much to get me in the door – a pied a terre, a studio, a room with an electric kettle – anywhere to get my beauty sleep in-between sundown and dawn? Phillip: Our prices start at just over $1,000,000 for a fully furnished one bedroom residence. But you have two children who will want to come with you and Walter so you should look at the larger residences. We have two and three bedroom residences along with a handful of stunning four bedroom villas. As I’m sure you remember from your visit here earlier in the year, all of our residences come equipped with phenomenal ocean views and an easy path to the white beaches. CD: Oh I remember. Sales going well? Phillip: We are very, very pleased with our sales thus far. In fact, we just sold a gorgeous Mondrian residence about an hour ago to a wonderful Montreal-based family! CD: Where are most of the buyers coming from? Phillip: Baha Mar owners will truly represent the world. We have many purchasers from, of course, the United States and Canada. But we also have buyers from as far away as China, Saudi Arabia, Switzerland, France, Italy, Venezuela and Brazil. Phillip: Grand Opening will be in December of this year and, because it is a single-phase development, all of the amenities will be unveiled together. It’s so much fun to see everything take shape. You see the beautiful architecture becoming a reality, the grass of the Nicklaus Signature golf course growing in, the Bellagio-style show fountains being built, etc… and it just takes your breath away. The level of luxury that Baha Mar will provide will truly be something the Caribbean has never seen before. But maybe the best thing to see is the incredible team of professionals Baha Mar has assembled. I’ve never seen such passion for a single goal – to provide the ultimate resort experience to our owners and guests. Baha Mar is going to blow people away! Plenty of Texans go for vacation homes near Lake Tahoe. 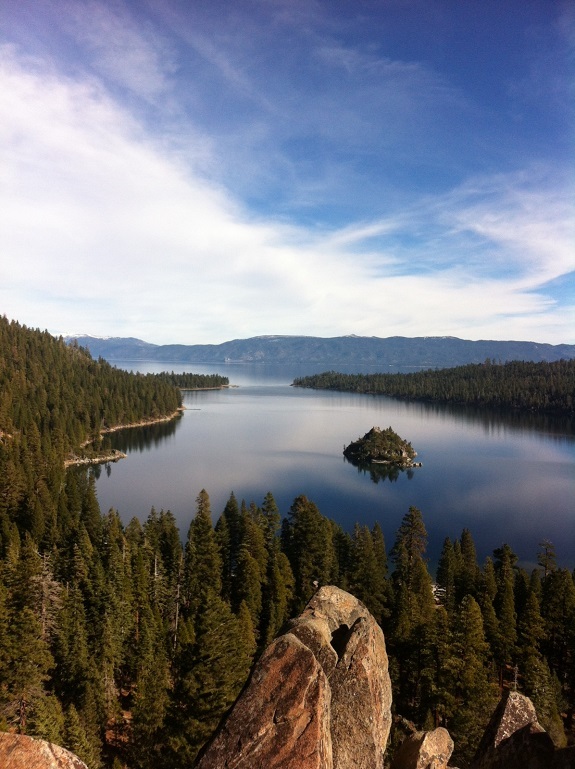 Size doesn’t matter so much, however, when you’re breathing mountain air and pondering a looming, pristine lake that straddles California and Nevada. Wealthy Californians are known for flocking to little towns on the Nevada side to avoid state income tax and enjoy a lower cost of living. Both options offer unfettered views and a sense of tony, tucked-away escapism, but it’s the area’s unbeatable year-round beauty and perpetual sports — including hiking, snow skiing, and waterskiing — that give Tahoe its biggest advantage over seasonal resort spots. 739 Lakeview: Water and mountain views abound at this South Lake Tahoe property. Home sales are up 30 to 35 percent this year by Sours’s count, and Plastiras’s company has seen a more than 100-percent increase, from $94 million in total sales to around $225 million. The numbers aren’t a huge surprise, however; typically, California’s property sales foretell Tahoe’s to some extent. “If you study the historical trends,” Souers explains, “we follow the Bay Area,” usually with about six-month to yearlong lag. And guess what? The Bay Area is starting to fly high. Tahoe-area properties are often carefully regulated, for better or for worse; building permits can be scarce, which keeps neighborhoods quaint but frustrates some homeowners. (Above and Below): This low-elevation, lodge-style home offers direct access to a tennis and recreation center. 220 Glen Way is listed for $2.2 million in Incline Village, Nev.
“Even if you own [an empty] lot, it doesn’t necessarily mean you’d be able to build up there,” cautions Dallas resident Joyce Jacobson, whose family has kept a beloved second home in South Lake Tahoe — right on the state line, she says — for more than 20 years. Lake houses seem to hold their value better over time, she figures, but they’re also subject to strict regulations. In some cases, she adds, that means rules about what sort of blinds an occupant can hang from his or her windows. Seriously. Her husband, Bob, has a funny story about their own vacation getaway, which isn’t on the lake. Seven or eight years ago, he said, Joyce and their grown children began pressuring him to sell. A prospective buyer popped up immediately. Then and there, they changed their minds about leaving. Or maybe it’s the other humans — and myriad human diversions — that make die-hards keep coming back. “It’s all the recreational spots, with all the skiing and the hiking and the water sports,” says homeowner Leroy Hardy (a relative of mine), whose custom-built Incline Village, Nev., house includes a creek, and is on the market. Georgia Fisher is a Dallas expat now living in Reno, Nev., with her fiancé. Her interests include cats, Internet videos of cats, and cats watching Internet videos of cats. While she adores her quaint historic rental in Reno, she tries to escape to Lake Tahoe as often as possible. I ran into a friend over the holidays right about the time I was mailing off my water bill, frantically. Seems I had switched from paper to electronic billing, but then the emails never arrived, I got busy, and yes, I faced the holidays with a termination letter from Dallas Water. One of our refrigerators broke down and defrosted because power surges during the ice storm blew the computer panel. Just got the dryer repaired, then the pool heater broke. Our friend has a couple homes he has to maintain, and commiserated: how do you manage to keep up all your homes, I asked? This friend keeps an Excel spread sheet of when every bill is due at each home, and lists all the systems — heat, A/C, hot water heaters, pool equipment, appliances, by date and when last repaired. And he never leaves home without it. There must be an iphone ap for this? Dallas resident Lisa Harvell has three homes, one in Lake Tahoe, one at Lake Whitney, and one in Dallas. How does she keep them organized? I am naturally an organized person, says Lisa. The properties outside of Dallas are very low maintenance. 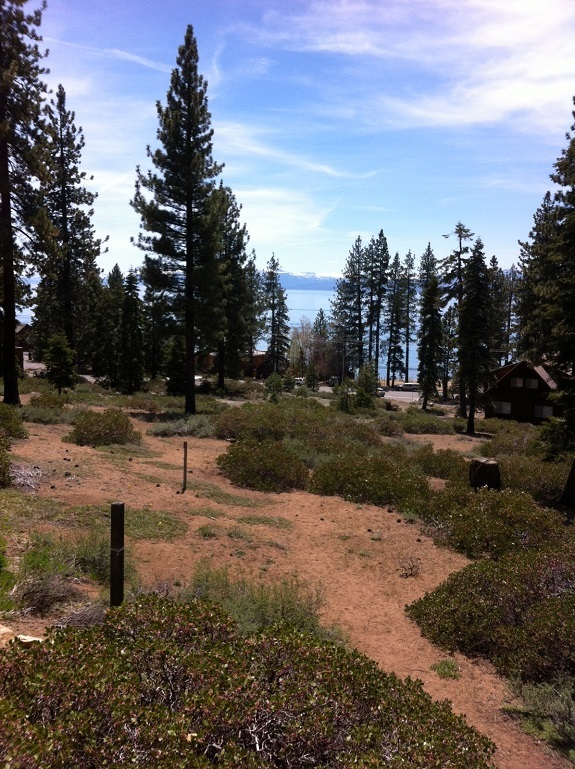 At Lake Whitney, it’s more natural, there’s no grass to mow, and Lake Tahoe is totally rustic. “All we have used out at the lake is a weed eater,” says Lisa, who works at Timious Real Estate Title & Development. Do you really use your homes, I asked? Yes! Lisa and her husband of 44 years go to Lake Whitney, to their two bedroom, two bath log cabin with an awesome porch, almost every weekend in spring and summer. It’s a one and a half hour drive. They hit Lake Tahoe 3 to 4 times a year, flying in to Reno and then driving. 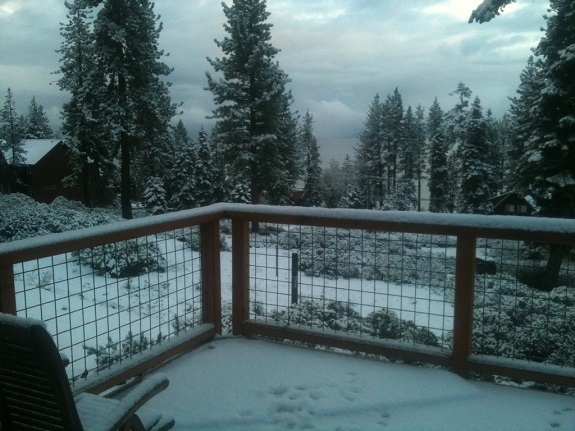 That home is also a two bedroom, two bath single family with a great room and huge deck located in Tahoe Vista, population 200, on the north side of the lake. “As you can tell, I spend half my life on that deck,” she says. 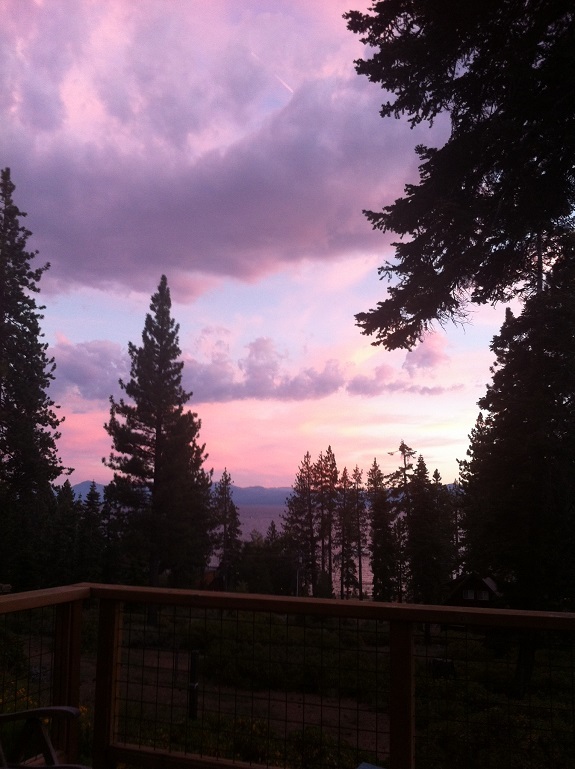 Right now, one son lives in the Tahoe house, which makes upkeep a lot easier. Does Lisa have any second thoughts about multiple home ownership? You have to be invested emotionally, she says. She loves being in and around nature, and has no plans to lease her casas. Tell us how you manage all your real estate properties, keeping up first, second and third homes… it’s pretty amazing! 3RD Home and SecondShelters.com Forge Partnership. Because You Can NEVER Have Too Many Homes! You have heard me bragging on 3RD Home on these pages before. 3RD Home (see ad to right) is a web site for second home owners that expands second home ownership by creating a home swap of vetted vacation home owners and properties. It’s like belonging to your very own Exclusive Resorts, only more exclusive. You must already be a second home owner — condo, home, ranch — and then you can exchange your home to stay at a THIRD home for — are you ready? $495 a week. That is not a typo. It costs you $495 to join 3RD HOME, and then $495 per week per stay at a home that matches the value, categorized as keys. I might add this must be full home ownership on your part, no family timeshares like our beach house. All the homes and owners are scrutinized so you know you are not just getting a five star location, you are putting nice people just like yourself in your property. The genius behind this Nashville, TN -based company (The Southwestern Company is a partner) is Wade Shealy, a veteran second home Realtor who earned his stripes selling vacation homes in Hilton Head, South Carolina. The median vacation home purchase price was higher in 2012 than in 2011–$150,000. The share of vacation buyers who did not use a mortgage rose slightly to 46 percent from 42 percent in 2011. Since there were fewer distressed properties on the market in 2012, there were fewer that could be purchased. The share of vacation buyers who purchased a vacation property dropped to 35 percent from 39 percent in 2011. However, the share does remain high—20 percent of vacation buyers purchased a home in foreclosure, while 15 percent purchased a short sale. Vacation buyers expect to own their vacation home for 10 years. More second homeowners are leasing vacation homes for cash flow, and a Realtor I spoke with in Phoenix recently, Walt Danley, told me pre-retirees are buying homes in Phoenix and Scottsdale, for example, at devalued pricing, leasing them and holding them for retirement in 5 to 7 years. Of course, many of them are snowbirds and I hope they can unload those primary homes. But when you have a second home, when you are dishing out $7000 a month in mortgage, insurance and other second home housing costs, the last thing you want to hear is “let’s go skiing this year” when you own a home at the beach. But with 3RD HOME, you can trade the beach house for a ski chalet for $495. per week. It’s a way to stretch the vaca home to more than one location without breaking the bank or — horrors — buying another vacation home. In fact, 3RD Home is more than a home exchange, it’s an estate exchange. With those Keys in hand, which serve as the currency in the 3RD HOME system, you then can immediately reserve any available property and week 24/7 online. There is no direct or simultaneous exchange required with another member. What makes 3RD HOME truly unique and superior is the quality of the homes made available for your use. There are more than 1550 homes spanning the globe with an average value of $2.25 Million and many well above $5 to 10 million. An example is this gem located in Argentina named La Fortuna. A complete description of this luxurious estate can be found on the 3RD HOME website. And yes, it’s ready for a swap! SecondShelters.com readers with second homes are urged to explore the site, and take advantage of the special membership offer by clicking the ad on our home page or this link. Like we say, “you can never have too many homes” and 3RD HOME gives you access to even more.